"I remember our agreement that you had asked not to use you as the head of the presidential administration for more than four years," Putin told Ivanov. Photo: President Putin visits city of Veliky Novgorod. Russian President Vladimir Putin says he 'understands' Ivanov's decision to change the job. Russian President Vladimir Putin has appointed Anton Vaino new presidential chief of staff, the Kremlin press service said on Aug. 12. Vaino had held the post of deputy Kremlin chief of staff since late May 2012. 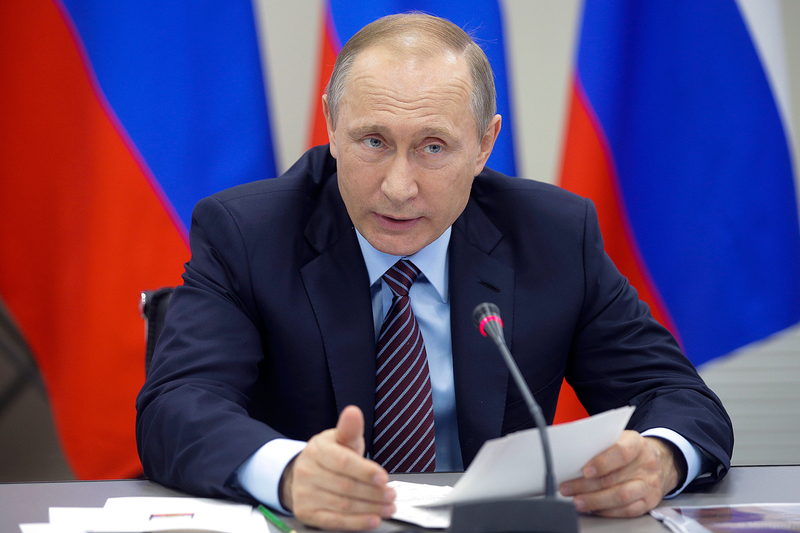 Putin said he hopes that the presidential administration led by Vaino will continue working efficiently. "I hope that you do everything so that the administration’s work remains efficient and is carried out at a high professional level," Putin told Vaino after suggesting that he should take the post. "This work should have less bureaucracy and on the contrary should be filled with specific content and contribute to solving tasks not only before the administration but also in key areas of developing the economy and social sphere," he said. Sergey Ivanov, who had led the presidential administration since December 2011, was appointed the president’s special envoy for environmental activity, ecology and transport, the press service said citing the decree. Putin said he respects the decision of Ivanov to leave his post of Kremlin chief of staff. "I remember our agreement that you had asked not to use you as the head of the presidential administration for more than four years," the president told Ivanov at the meeting broadcast by the Rossiya 24 TV channel. "I understand your decision to have another job," he said. Ivanov, 63, served as Russia’s defense minister between March 2001 and February 2007. He was deputy prime minister between May 2008 and December 2011.